Abstract In this paper, a predictive direct power control (PDPC) method for the brushless doubly fed reluctance generator (BDFRG) is proposed. Firstly, the BDFRG active and reactive power equations are derived and then the active and reactive power variations have been predicted within a fixed sampling period. The predicted power variations are used to calculate the required voltage of the secondary winding so that the power errors at the end of the following sampling period are eliminated. Switching pulses are produced using space vector pulse width modulation (SVPWM) approach which causes to a fixed switching frequency. The BDFRG model and the proposed control method are simulated in MATLAB/Simulink software. Simulation results indicate the good performance of the control system in tracking of the active and reactive power references in both power step and speed variation conditions. In addition, fast dynamic response and lower output power ripple are other advantages of this control method. Ó 2016 Faculty of Engineering, Alexandria University. Production and hosting by Elsevier B.V. This is an open access article under the CC BY-NC-ND license (http://creativecommons.org/licenses/by-nc-nd/4.0/). 1. Introduction Nowadays, the brushless doubly fed reluctance generators (BDFRG) have been proposed as a potential alternative to the existing solutions for wind power applications [1–10]. The main reason of this increasing interest could be found in reasonable cost and high reliability of the BDFRG because of its brushless structure. On the other hand, its comparative performance with other generators such as wound and cage rotor induction generator, doubly fed induction generator * Corresponding author. E-mail address: [email protected] (R. Kazemzadeh). Peer review under responsibility of Faculty of Engineering, Alexandria University. (DFIG) and brushless doubly fed induction generator (BDFIG) leads to consideration of the BDFRG as a suitable choice for wind power application [11,12]. Previously, the BDFRG couldn’t compete with its induction counterpart (BDFIG) because of low saliency ratio of reluctance rotor which caused lower torque in the BDFRG. However, recent developments in reluctance rotors with high saliency ratio, lead to more attention to the BDFRG . The BDFRG needs partially-rated converter in wind power applications like other doubly fed generators [1–3,13]. In addition, the absence of rotor cage makes it more efficient  and easier to control  in comparison with the BDFIG. On the other hand, its brushless structure ensures high reliability and low maintenance of the BDFRG, which is especially important to off-shore plants . where Rp, Rs, Lp, Ls and Lps are primary resistance, secondary resistance, primary inductance, secondary inductance and primary to secondary mutual inductance, respectively. xp and xs are the space vectors in a reference frame rotating at x, for the primary and secondary respectively. It should be noted that primary and secondary equations are expressed in two different reference frames: primary equation, (3), in reference frame x and secondary equation, (4), in reference frame xr  x. The reference frames that are used in the model are shown in Fig. 2 . The connection of the BDFRG to the grid. The reference frames used for the BDFRG model. In the previous section, the space vector equations of the BDFRG in an arbitrary reference frame rotating at x were expressed. Another reference frame is obtained by setting h ¼ 0 [5,36] which is suitable for power equations derivation. This leads to a stationary dq reference frame for the primary equation and a rotor reference frame for the secondary equation. In the following equations, sub-subscripts s and r indicate the stationary and rotor reference frames, respectively. In addition, d ¼ ap þ as is the angle between kpss and ksr which is shown in Fig. 3. (a) Calculation of the required secondary winding voltage based on the developed predicted power model (i.e. (35) and (36)) within a fixed sampling period, Ts, directly. (b) Generation of proper voltage vectors within the fixed sampling period to approximate the calculated secondary winding voltage by SVPWM method. The representation of kpss and ksr . Thus, (35) and (36) indicate that the active and reactive powers of the stator primary winding can be controlled independently by adjusting ksq and ksd , respectively. The schematic block diagram of the system and the proposed PDPC method. The simulated system in MATLAB/Simulink software. The parameters of the BDFRG. The speed curve of the BDFRG. Figure 7 The active and reactive output power of the BDFRG in speed variation operation: (a) the proposed PDPC method; (b) the DPC method. converter (GSC) is to charge DC link capacitor. GSC should be controlled with the purpose of setting the voltage of DC link to its reference value, while it has no reactive power transfer with the grid. In this paper, predictive direct power control method, which was presented by  to control a rectifier, is used to control GSC. Correspondingly, the task of the machine side converter (MSC) is to provide the required voltage of the BDFRG secondary winding. Therefore, the calculated voltage in (54) is set as a reference value for the controller of MSC. SVPWM technique  is used to control MSC which has constant switching frequency. The schematic block diagram of the system and the proposed PDPC are shown in Fig. 4. 6. Simulation results In this section, the performance of the proposed PDPC for the BDFRG has been evaluated. For this purpose, the BDFRG model and the proposed control method are simulated in MATLAB/Simulink software (Fig. 5). The simulated model consists of the following: (a) a 1.5 kW, 750 rpm, 6/2 poles BDFRG, (b) a three-phase back to back IGBT/Diode converter with 600 V DC link voltage and (c) a three-phase, 415 V, 50 Hz grid. The primary winding of the BDFRG is directly connected to the grid, but its secondary winding is connected, through the back to back converter. The BDFRG parameters can be seen in Table 1 . The control system performance has been studied in both power step and speed variation conditions in the following subsections. For comparison, system response with original DPC method  is also tested. It should be noted that the BDFRG start-up period is not shown in the results. Figure 9 The current of the BDFRG primary winding in speed variation operation: (a) the proposed PDPC method; (b) its extended view; (c) the DPC method; (d) its extended view. The mechanical torque of the BDFRG in speed variation operation: (a) the proposed PDPC method; (b) the DPC method. ated. Although this PDPC method is proposed for wind power application (generating state), it is also valid for motoring state. So, simulation is performed for both generating and motoring states (for comparison of proposed PDPC and DPC ). Initial reference values for the active and reactive powers are 400 W and 1400 VAr, respectively. Reactive power reference value changes to 700 VAr, at t = 1 s and active power reference value changes to 400 W at t = 2 s.
Figure 12 The dynamic response of the BDFRG output powers during the following: (a) active power step with the proposed PDPC method; (b) active power step with the DPC method; (c) reactive power step with the proposed PDPC method; (d) reactive power step with the DPC method. Figure 13 The current of the BDFRG primary winding in power step condition: (a) the proposed PDPC method; (b) its extended view; (c) the DPC method; (d) its extended view. The mechanical torque of the BDFRG in power step condition: (a) the proposed PDPC method; (b) the DPC method. The speed of the BDFRG in power step condition: (a) the proposed PDPC method; (b) the DPC method. the active power reference changes. Therefore, the amount of the complex power is the same and the amplitude of the primary current does not change. The input mechanical torque to the BDFRG during test 2 has been shown in Fig. 14. Fig. 15 illustrates the BDFRG speed which is controlled to 800 rpm by less than 0.02% error. 7. Conclusion In this paper, a PDPC strategy for the BDFRG has been proposed. The active and reactive power variations of the BDFRG primary (power) winding have been predicted, which were used to calculate the required voltage of the secondary (control) winding to eliminate power errors. SVPWM approach was used to produce switching pulses. MATLAB/ Simulink software was utilized to simulate the BDFRG and the proposed control method. Furthermore, original DPC strategy was simulated for comparison. Result comparison of the proposed PDPC with DPC shows better performance of the proposed method in the BDFRG power control with fixed switching frequency and lower ripple in addition to fast dynamic response. References  R.E. Betz, M.G. Jovanovic, The brushless doubly fed reluctance machine and the synchronous reluctance machine – a comparison, IEEE Trans. Ind. Appl. 36 (4) (2000) 1103–1110. R.E. Betz, M.G. Jovanovic, Theoretical analysis of control properties for the brushless doubly fed reluctance machine, IEEE Trans. Energy Convers. 17 (3) (2002) 332–339. M.G. Jovanovic, R.E. Betz, Y. Jian, The use of doubly fed reluctance machines for large pumps and wind turbines, IEEE Trans. Ind. Appl. 38 (6) (2002) 1508–1516. W. Fengxiang, Z. Fengge, X. Longya, Parameter and performance comparison of doubly fed brushless machine with cage and reluctance rotors, IEEE Trans. Ind. Appl. 38 (5) (2002) 1237–1243. R.E. Betz, M.G. Jovanovic, Introduction to the space vector modeling of the brushless doubly fed reluctance machine, Electr. Power Comp. Syst. 31 (8) (2003) 729–755. M.G. Jovanovic, Y. Jian, E. Levi, Encoderless direct torque controller for limited speed range applications of brushless doubly fed reluctance motors, IEEE Trans. Ind. Appl. 42 (3) (2006) 712–722. D.G. Dorrell, M. Jovanovic, On the possibilities of using a brushless doubly-fed reluctance generator in a 2 MW wind turbine, in: 2008 IEEE Industry Applications Society Annual Meeting, 5–9 October, Edmonton, Alta, 2008, pp. 1–8. M.G. Mousa, S.M. Allam, E.M. Rashad, Maximum power tracking of a grid-connected wind-driven brushless doubly-fed reluctance generator using scalar control, in: 2015 IEEE GCC Conference and Exhibition, 1–4 February, Muscat, 2015, pp. 1– 6. R.S. Rebeiro, A.M. Knight, Operating limits of a brushless doubly fed reluctance machine driven by two converters, in: 2015 IEEE Energy Conversion Congress and Exposition, 20–24 September, 2015, pp. 3872–3877. M. Moazen, R. Kazemzadeh, M.R. Azizian, Mathematical modeling and analysis of brushless doubly fed reluctance generator under unbalanced grid voltage condition, Int. J. Electr. Power Energy Syst. 83 (2016) 547–559. R.A. McMahon, P.C. Roberts, X. Wang, P.J. Tavner, Performance of BDFM as generator and motor, IEE Proc. Electr. Power Appl. 153 (2) (2006) 289–299. Model-based predictive direct power control  J. Poza, E. Oyarbide, D. Roye, M. Rodriguez, Unified reference frame dq model of the brushless doubly fed machine, IEE Proc. Electr. Power Appl. 153 (5) (2006) 726–734. E.G. Shehata, Sliding mode direct power control of RSC for DFIGs driven by variable speed wind turbines, Alexandria Eng. J. 54 (4) (2015) 1067–1075. H. Chaal, M. Jovanovic, Power control of brushless doubly-fed reluctance drive and generator systems, Renewable Energy 37 (1) (2012) 419–425. A.S. Abdel-khalik, M.I. Masoud, M.M. Ahmed, Generalized theory of mixed pole machines with a general rotor configuration, Alexandria Eng. J. 52 (1) (2013) 19–33. X. Longya, L. Zhen, K. Eel-Hwan, Field-orientation control of a doubly excited brushless reluctance machine, IEEE Trans. Ind. Appl. 34 (1) (1998) 148–155. S. Ademi, M.G. Jovanovi, H. Chaal, W. Cao, A new sensorless speed control scheme for doubly fed reluctance generators, IEEE Trans. Energy Convers. (2016). S. Ademi, M. Jovanovic, A novel sensorless speed controller design for doubly-fed reluctance wind turbine generators, Energy Convers. Manage. 120 (2016) 229–237. S. Ademi, M. Jovanovic, Vector control methods for brushless doubly-fed reluctance machines, IEEE Trans. Ind. Electron. 62 (1) (2015) 96–104. S. Ademi, M. Jovanovic, High-efficiency control of brushless doubly-fed machines for wind turbines and pump drives, Energy Convers. Manage. 81 (2014) 120–132. S. Ademi, M.G. Jovanovic, M. Hasan, Control of brushless doubly-fed reluctance generators for wind energy conversion systems, IEEE Trans. Energy Convers. 30 (2) (2015) 596–604. M. Jovanovic, S. Ademi, J. Obichere, Comparisons of vector control algorithms for doubly-fed reluctance wind generators, in: Trans. Eng. Technol., Springer, Netherlands, 2015, pp. 85– 99. S. Ademi, M. Jovanovic, Control of doubly-fed reluctance generators for wind power applications, Renewable Energy 85 (2016) 171–180. S. Ademi, M. Jovanovic, Control of Emerging Brushless Doubly-Fed Reluctance Wind Turbine Generators, Springer, 2014. S. Ademi, M. Jovanovic, Vector control strategies for brushless doubly-fed reluctance wind generators, in: 2nd International Symposium on Environment Friendly Energies and Applications, 25–27 June, Newcastle upon Tyne, 2012, pp. 44– 49. M.G. Mousa, S.M. Allam, E.M. Rashad, Vector control strategy for maximum wind-power extraction of a gridconnected wind-driven brushless doubly-fed reluctance generator, in: 4th International Conference on Electric Power and Energy Conversion Systems, 24–26 November, Sharjah, United Arab Emirates, 2015, pp. 1–6. M. Jovanovic, J. Yu, E. Levi, Direct torque control of brushless doubly fed reluctance machines, Electr. Power Comp. Syst. 32 (10) (2004) 941–958. 11  H. Chaal, M. Jovanovic, A new sensorless torque and reactive power controller for doubly-fed machines, in: 2010 International Conference on Electrical Machines, 6–8 September, Rome, 2010, pp. 1–6. H. Chaal, M. Jovanovic, Toward a generic torque and reactive power controller for doubly fed machines, IEEE Trans. Power Electron. 27 (1) (2012) 113–121. H. Chaal, M. Jovanovic, Practical implementation of sensorless torque and reactive power control of doubly fed machines, IEEE Trans. Ind. Electron. 59 (6) (2012) 2645–2653. S. Ademi, M. Jovanovic, Robust vector controllers for brushless doubly-fed wind turbine generators, in: 2014 IEEE International Energy Conference, 13–16 May, Cavtat, 2014, pp. 1–8. W.K. Song, D.G. Dorrell, Improved direct torque control method of brushless doubly-fed reluctance machines for wind turbine, in: 2013 IEEE International Symposium on Industrial Electronics, 28–31 May, Taipei, Taiwan, 2013, pp. 1–5. W.K. Song, D.G. Dorrell, Implementation of improved direct torque control method of brushless doubly-fed reluctance machines for wind turbine, in: 2014 IEEE International Conference on Industrial Technology, 26 February–1 March, Busan, 2014, pp. 509–513. H. Chaal, M. Jovanovic, Direct power control of brushless doubly-fed reluctance machines, in: 5th IET International Conference on Power Electronics, Machines and Drives, 19–21 April, Brighton, UK, 2010, pp. 1–6. M. Jovanovic, Sensored and sensorless speed control methods for brushless doubly fed reluctance motors, IET Electr. Power Appl. 3 (6) (2009) 503–513. 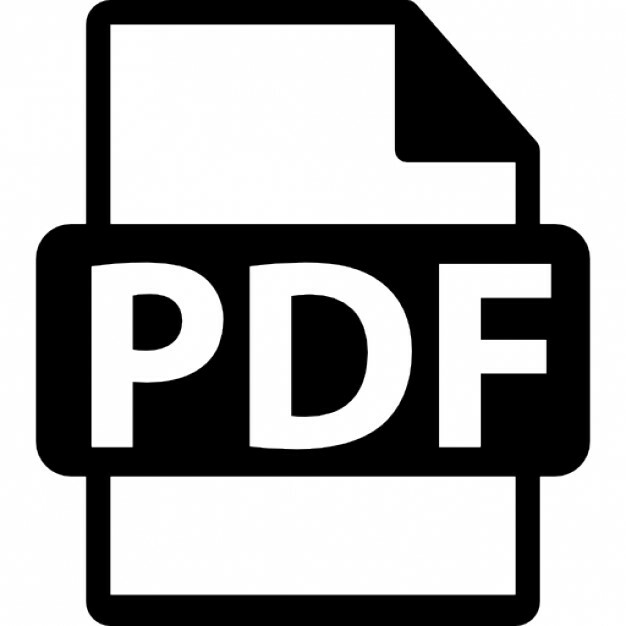 R. Betz, M. Jovanovic, Introduction to Brushless Doubly Fed Reluctance Machines-the Basic Equations, Technical Report, Dept. Elec. Energy Conversion, Aalborg University, Denmark, 1998. Z. Dawei, X. Lie, B.W. Williams, Model-based predictive direct power control of doubly fed induction generators, IEEE Trans. Power Electron. 25 (2) (2010) 341–351. G. Abad, M.A. Rodriguez, J. Poza, Predictive direct power control of the doubly fed induction machine with reduced power ripple at low constant switching frequency, in: 2007 IEEE International Symposium on Industrial Electronics, 4–7 June, Vigo, 2007, pp. 1119–1124. Z. Yongchang, H. Jiefeng, Z. Jianguo, Three-vectors-based predictive direct power control of the doubly fed induction generator for wind energy applications, IEEE Trans. Power Electron. 29 (7) (2014) 3485–3500. A. Bouafia, J.P. Gaubert, F. Krim, Predictive direct power control of three-phase pulse width modulation (PWM) rectifier using space-vector modulation (SVM), IEEE Trans. Power Electron. 25 (1) (2010) 228–236. A. Iqbal, A. Lamine, I. Ashraf, Mohibullah, Matlab/simulink model of space vector PWM for three-phase voltage source inverter, in: 41st International Universities Power Engineering Conference, 6–8 September, Newcastle-upon-Tyne, 2006, pp. 1096–1100. Report "Model-based predictive direct power control of brushless doubly fed reluctance generator for wind power applications"